More about Lapuan Kankurit Halaus Blue Scarf Be a natural beauty when you wrap the Lapuan Kankurit Halaus Blue Scarf around your neck or shoulders. 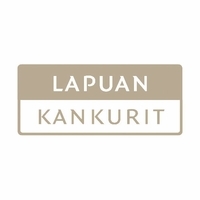 Lapuan Kankurit is the only Finnish weaving mill whose textiles have met the "Masters of Linen" requirements, and the quality of this linen is easy to see and feel. 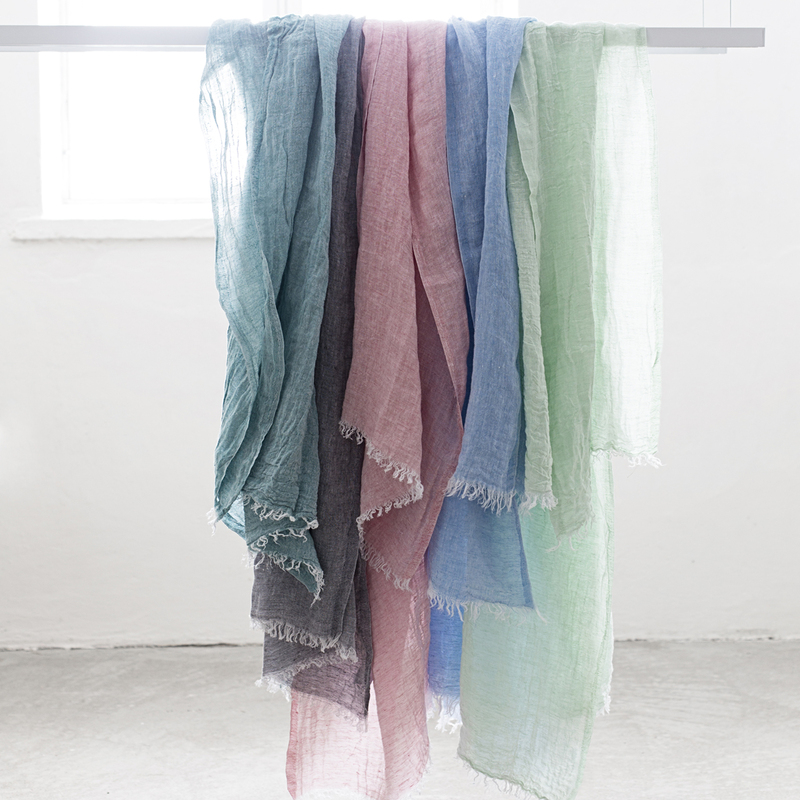 Linen is an eco-friendly material, requiring no irrigation other than natural rain, so you'll feel good in more ways than one when you wear this stylish accessory. 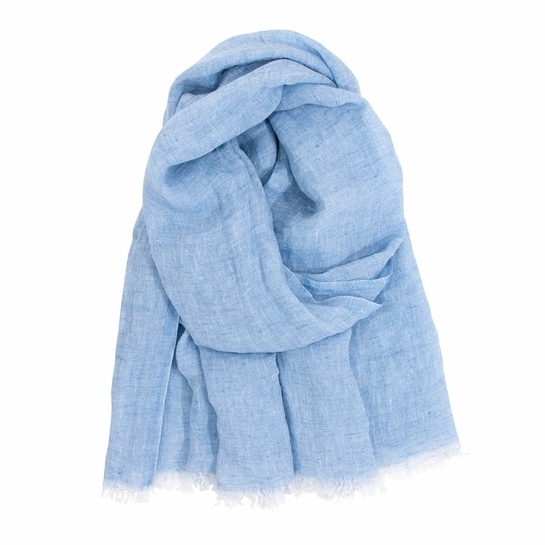 However you wear the Lapuan Kankurit Halaus Blue Scarf, it's bound to get plenty of compliments. Really lovely scarf in a beautiful blue that is lightweight and soft. Fabulous on a hot humid day when AC is roaring indoors. I am so glad I bought two! Ooh, I love this scarf! I was very sad when I left my old blue Lapuan Kankurit blue linen scarf behind in a hotel room. I had also ordered that one from Finnstyle, but it is no longer available on the website. This style appears to have replaced it, so I gave it a try. I love this one even more! The fringe adds a nice touch (the old scarf just had a straight hem), and I think this one is wider, too, which actually looks nicer on. 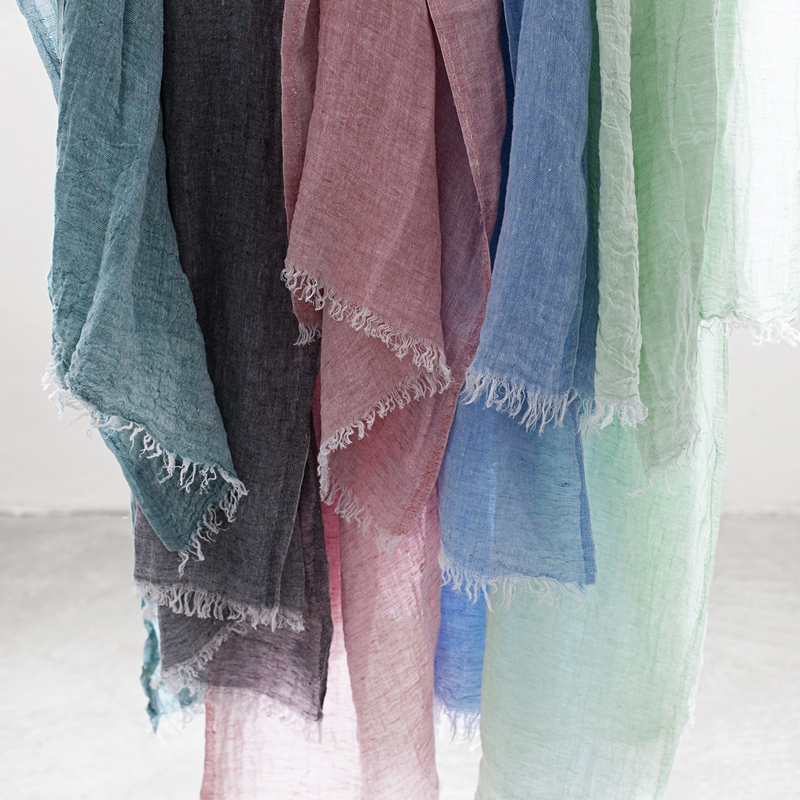 The linen is not scratchy, but it has a good, substantial feel, and the blue color is lovely. I purchased three of these scarves in different colors. They are beautiful and versatile and can be worn throughout much of the year thanks to the material from which they are made. The drape is perfect. As an added bonus, they are easy to wash and come out of the dryer with a lovely crinkly look that is very attractive.